A decision on adding new sports to the Tokyo 2020 Olympic Games programme is not expected until August 2016, International Olympic Committee (IOC) vice-president John Coates has revealed today. Speaking following a Project Review meeting in the Japanese capital, Coates, who is also head of the Tokyo 2020 Coordination Commission, said a final decision will be taken at the 129th IOC Session in Rio de Janeiro, shortly before the start of the Rio 2016 Games. It is expected that a timetable setting out assessment criteria for proposed sports will be approved by April this year, with Tokyo Organisers completing their analysis of each by September. A decision had previously been thought possible this year, although this is the first time a precise timetable has been given. "While we were thinking originally the additional events timetable could be completed in July , that is too ambitious," the Australian explained. "In the interest of transparency, that is too tight a timetable. "The whole world is looking at this process, not just the people of Japan. "Many sports are interested and this is going to be a very transparent process." This comes after the IOC abolished the 28-sport cap on the sports programme at December's Extraordinary Session in Monte Carlo, raising the possibility of sports being added on a flexible, Games-by-Games basis. They are, however, keen not to increase the total number of athletes and events. "I can't tell you whether one, two, three, four, whatever number of events will be recommended ultimately, because that's going to be largely dependent on the composition of the events," Coates added today. "If there are team events involved, there's going to be more athletes involved. "If there weren't team events involved, there could be a combination of other sports. "We don't want to rule out any combination." Baseball and softball, the two sports dropped from the programme after Beijing 2008 which have since combined to form the World Baseball Softball Confederation, are the favourites to return in baseball-mad Japan. Karate and squash are others with serious aspirations, while skateboarding, surfing, climbing, wushu, cue sports and roller skating are others in the frame. New disciplines within existing sports, such as 3x3 basketball, could also be considered. Although the global and Japanese popularity, as well as participation from both genders and with youth populations is considered important, ensuring that the Games remains sustainable and affordable will also be taken into consideration. Last month, a Tokyo 2020 Additional Event Programme Panel was convened to study the feasibility of proposing specific sports, with Fujio Mitarai, the head of imaging giants Canon who is also honorary chairman of the Japanese Business Federation, acting as chair of a seven member group. 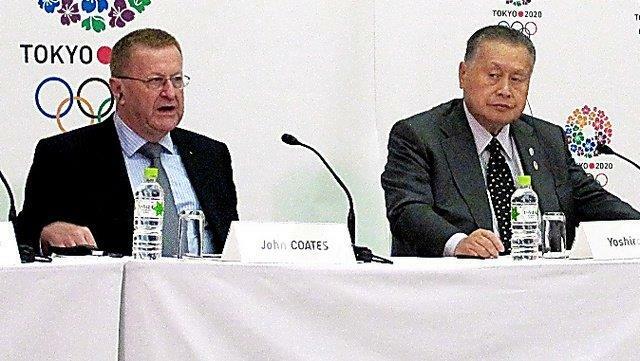 Speaking alongside Coates today, Tokyo 2020 President Yoshirō Mori said that the Panel will fit in with the timeline suggested by the IOC official. "Tokyo has its wish list and the timeline is fine for us," he said.